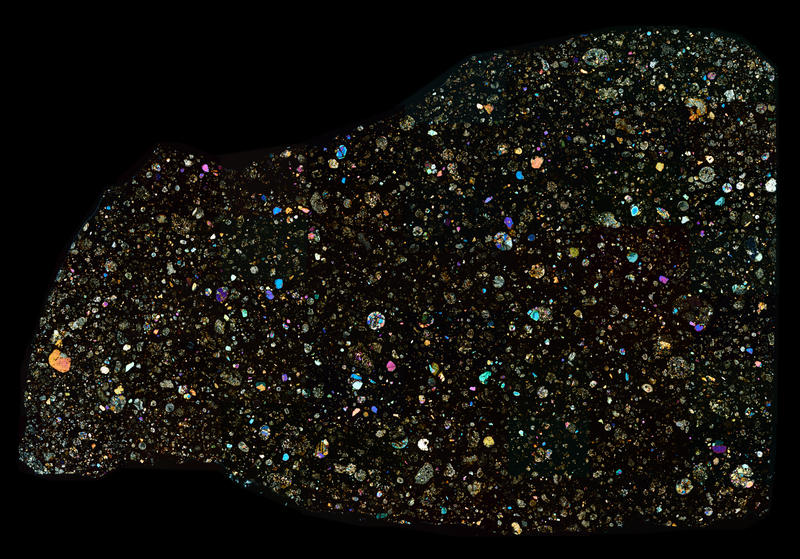 The Kainsaz Meteorite is the largest CO type with a total recovered weight of 200kg. It was witnessed to fall in Tartarstan on September 13, 1937. 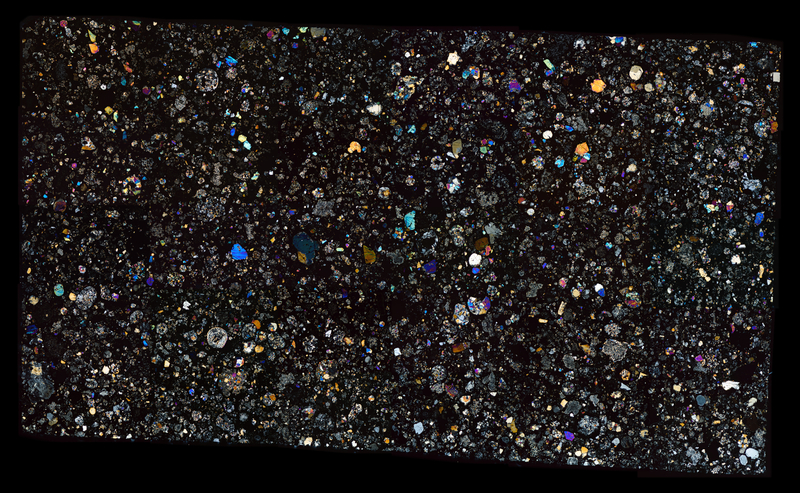 For an excellent view of the strew field, visit Woreczko Meteorites’ information page. 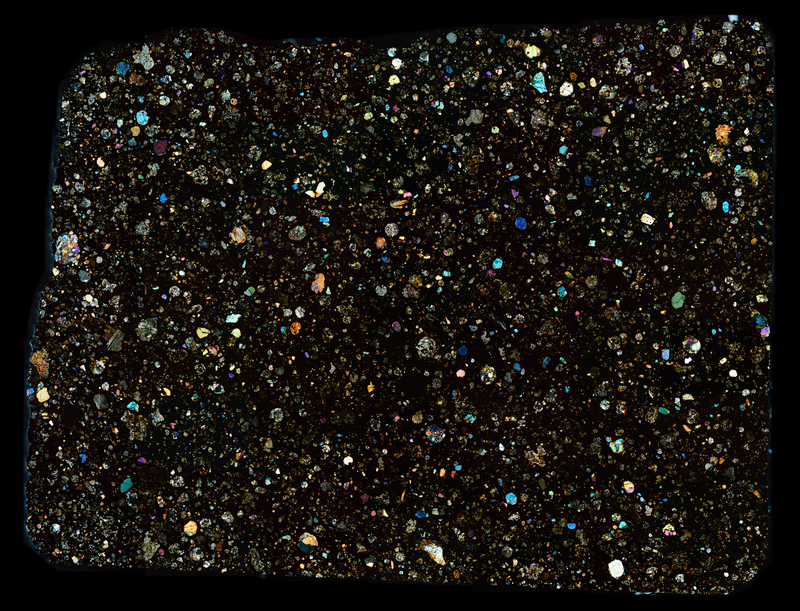 Calama 005 is another example of a CO meteorite and presented below, in cross polarized light, you will find it has a nice set of chondritic and carbonaceous features.